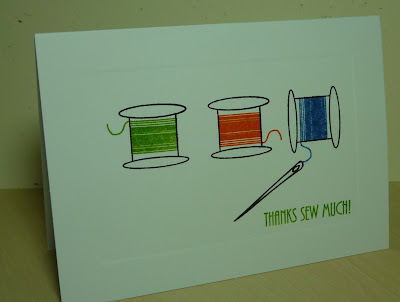 crafting with katie: Thanks Sew Much! 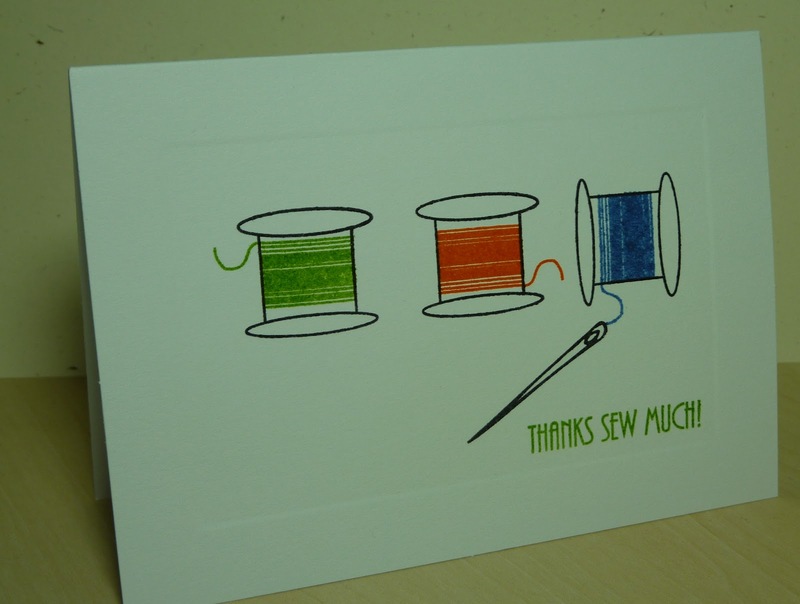 Here's another quick and easy thank you note. I whipped up ten of these in no time, using My Creative Time's Home Sewn stamp set. The card base is from a set of 3 1/2" x 4 7/8" cards and envelopes by Recollections that I found at Michaels. Sew easy!!! KATIE ~ oh yet another BEAUTIFUL CAS card! I LOVE the colors you used and of course the stamp set too! I am going to have to get some of these cards becasue I LOVE the embossing around them! GREAT idea ~ as always! Beautiful job! I love how simple your card is but is so meaningful! TFS AJ! Love the simplicity! Pretty colors too. This is sew cute! Love the colors and the stamp set of course. But just love how simple but so pretty.